SOURCE: Andrew Brown, courtesy of Tourism Australia, the tourism promotion authority of the government of Australia, used with permission. Wee Jasper is a village of about 80 people located 35 km north-west of Canberra. Near the village are several camping and recreation reserves close to numerous caves, of which the best known is Carey's Cave. Carey's Cave penetrates roughly in a horizontal manner into the side of a hill, so even people with mobility problems can enter it. 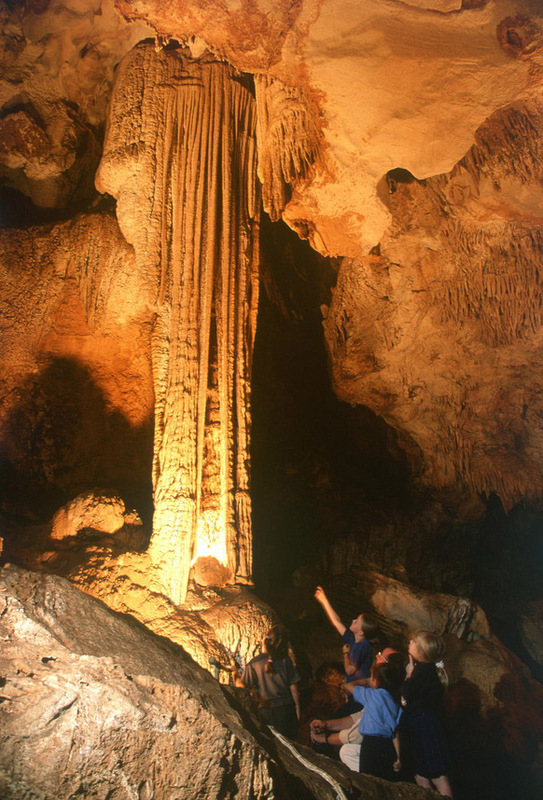 The cave is well lit throughout by electric lights, and there are guides who explain the folklore and science of the caves.